Do not miss this opportunity to buy this organic natural wine start-up winery. With a little bit of work, it can be a Yoga and Pilates Retreat as well. It's located in a tranquil area with views that calm your body and soul. 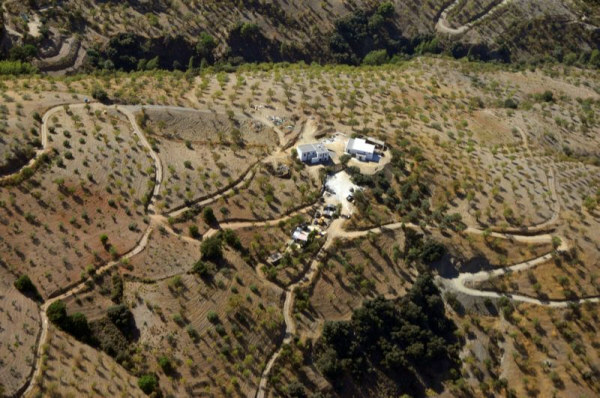 Very few Wineries are just 30-40 minutes from the beach in Andalucia, High altitude makes it possible! The 30-hectare farm is comprised of grapevines, almond, fig, and olive tree plantations. Plantations of roughly 1530 Almond trees, 1000 Fig trees, 35 Olive (oil) trees. The land has the potential to plant at least another 50.000 grapevines giving you up to 180.000 bottles per year. In order to process this, we have already an approved underground project for a new Bodega with processing capability for all grapes. The local government is endorsing this area for wine production because of its suitable microclimate. We are Organic and certified by Agrocolor. The Farm building, two stories 260m2, consists of a workshop, storage, apartment and bodega with wine in storage. The main house is a 340m2 two stories Alpujarran - Andalucian style country house designed with an open floor plan and has 2 bedrooms, one living room, an entertainment room, and a swimming pool. From 2010 during construction, before vineyards where established.